An exciting place to return to after the show. 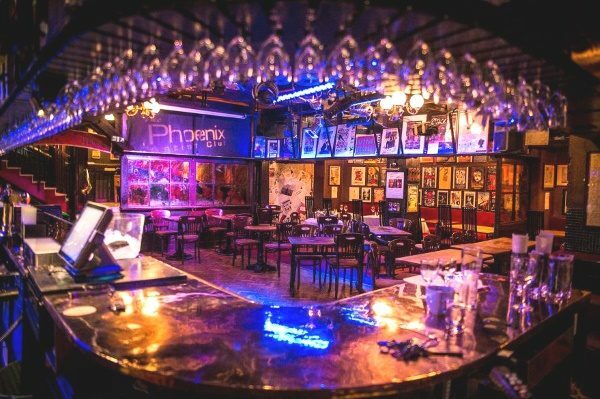 Guests of Theatre Breaks are lucky enough to be offered a very special free, three-month Cast Membership of the famous Phoenix Artist Club underneath the Phoenix Theatre just off Charing Cross Road. Winner of the ‘Best Bar & Club in Covent Garden & The Strand‘ award in the 2015 Time Out Awards and voted ‘Entertainment Club of the Year‘ by Club Awards 2015 it has also just won the Diners Choice award as voted for by users of Open Table. 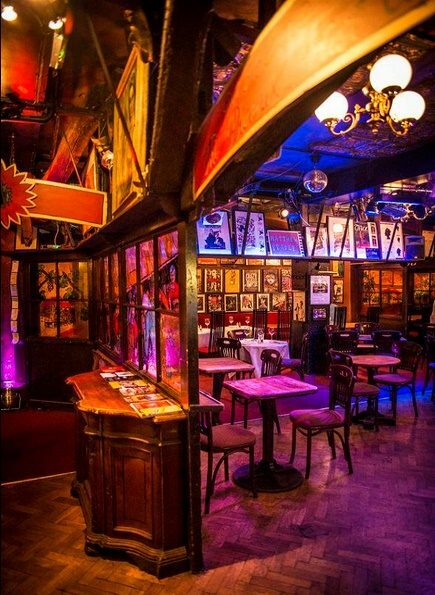 Full of theatre memorabelia, signed posters and cast photos, Phoenix Artist Club really is at the heart of London’s Theatreland and consequently a great place to go to for a pre-theatre meal. The club is within easy walking distance (less than 4 minutes) of the Phoenix Theatre, the Dominion Theatre, the Palace Theatre, the Ambassadors, St Martin’s Theatre, the Cambridge Theatre and the Prince Edward. I would even break my 4 minute rule for walking to eat here before a show: the Wyndham’s, Noel Coward, Arts Theatre, the Shaftesbury Theatre, Queen’s, Gielgud, Lyric and Apollo Theatre are all just a couple of minutes further away! In fact I would be happy to walk through almost all of London’s Theatreland before a show, just because it is a great fun place to be: plus it does the best theatre-themed cocktails in Theatreland! We will send you instructions on how to redeem your free, three month membership to the club, which usually costs £200 a year, once you have made your booking. Important: The club aims to provide a discrete escape for those who are in the public eye. They don’t allow cameras, nor do they allow their more well known guests to have their well deserved time off interrupted by star struck fans. Everyone needs a night off!